In those days, the gold armor was highly impractical and very expensive to make. The knight's armor was made of iron and covered with gold. Why? Firstly, it indicated the wealth of its owner. Secondly, the chief military leader in precious armor stood out on the battlefield, let alone this fact inspired ordinary knights. Thirdly, the golden armor never corroded, and therefore did not depreciate. The nobilities showed up at tournaments wearing precious armors, which then served as a fashionable entertainment. Since then, the golden armor has gained the title "tournament", or "parade". We tell about the precious equipment of the famous kings. 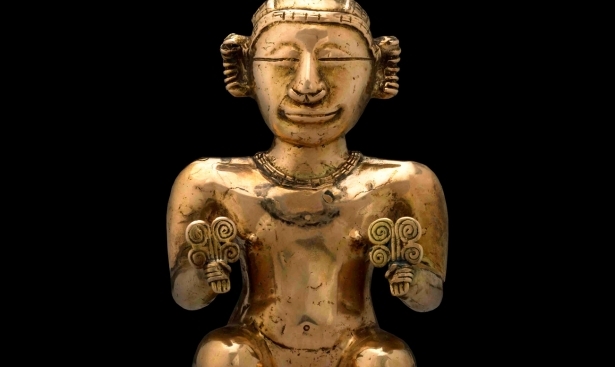 Can be seen in: The Metropolitan Museum, New York. Value: A priceless museum exhibit. Made: in 1527, in England. In the photo: A complicated thin engraving pattern on the armor of the English King covers the armor from below to the top. Being young, the King Henry VIII of England (a Tudor monarch) loved fights, organized chivalrous tournaments and participated in them. In 1514, he founded the Greenwich Armor Workshop, which later became a well-known place throughout the world. 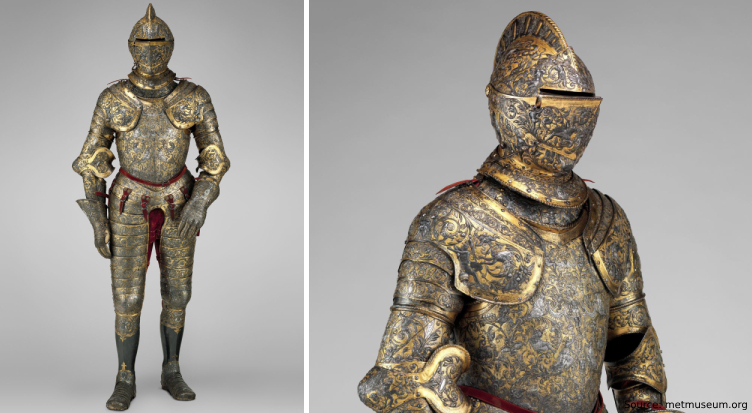 In the 15th century, the kings used to wear two armor sets: one for tournaments only, another for battles. In the 16th century, the masters of Henry VIII were the first ones who added golden plaids into one set. The gunsmiths applied the principle of a transformer, when one part of the armor could be easily replaced by another. The cost of manufacturing royal armor lowered, and the armor became versatile. The great German artist Hans Holbein Jr., who worked in the court of the English monarch during the mid-16th century, created sketches of the golden engraving, which became a decorative element in royal armors. Experts called this "the finest suit of armor in the world." The golden armor could not protect the monarch from injuries. In 1536, during a knight battle, the horse threw Henry off and fell on him. The king lost consciousness for two hours. After this case, the behavior of the monarch fundamentally changed. Biographers believe that Henry VIII showed depressive personality traits. Made: in 1555 in Paris. In the photo: The royal armor is decorated with a calking mimicking the style of an Italian grotesque, encrusted with silver and gold. The formal armor costume of the King of France Henry II was made specially for lavish ceremonies. 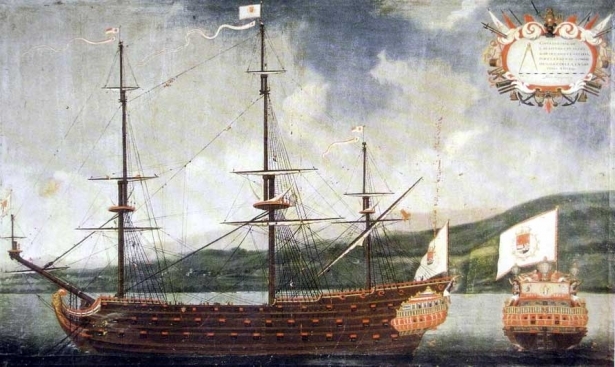 The artist Étienne Delaune painted the original sketches, and Jean Cousin the Elder and Baptiste Pellerin completed the work. 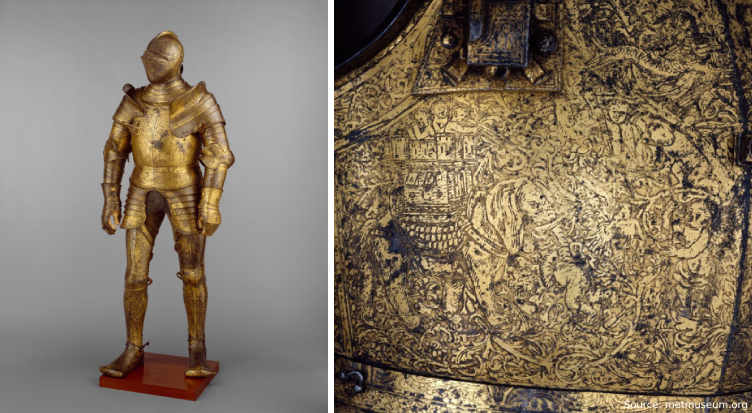 The figures depicted on the armor symbolize King's military victories and outstanding talents — his intellect and eloquence. On the tournament of 1559, organized in honor of the daughter's marriage, Henry II fought with Count Montgomery. The enemy shattered his lance on the monarch's cuirass, eventually piercing Henry's eye. Ten days later, the king died, and Nostradamus, who repeatedly warned the ruler of danger, became famous throughout the world. Can be seen in: The Armory Chamber, Dresden, Germany. Value: a valuable museum exhibit. Made: in 1565 in Belgium. In the photo: A full set of precious armor of the King of Sweden and his horse. 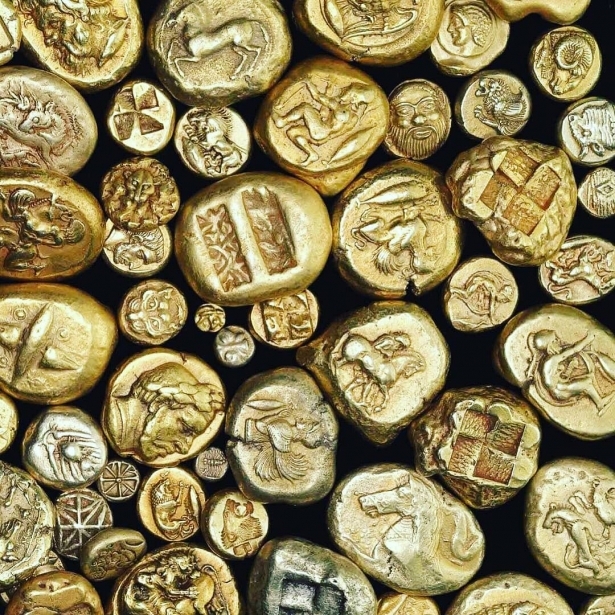 Armors are encrusted with gold and decorated with a calking. In 1562, the Swedish monarch Eric XIV commissioned an unprecedented luxury armor to appear before the Queen of England and make a marriage proposal. A jeweler Liebert worked for two years to complete the golden armor, he also recruited French artists to produce the sketches. Panels on the knight's armor cuirass illustrate the Trojan War, and the medallions on the horse tack depict the heroic deeds of Hercules. The precious armor nicknamed the "Armor of Hercules" was never used for its intended purpose. This was because the Danish king took over the golden set on his way from the workshop of Antwerp to Sweden. Eric XVI did not have a chance to wear the ceremonial armor and never married Elizabeth I. The Saxon Prince-elector Christian II paid for the "Armor of Hercules" 8800 guilders (more than 100 kilograms of silver). 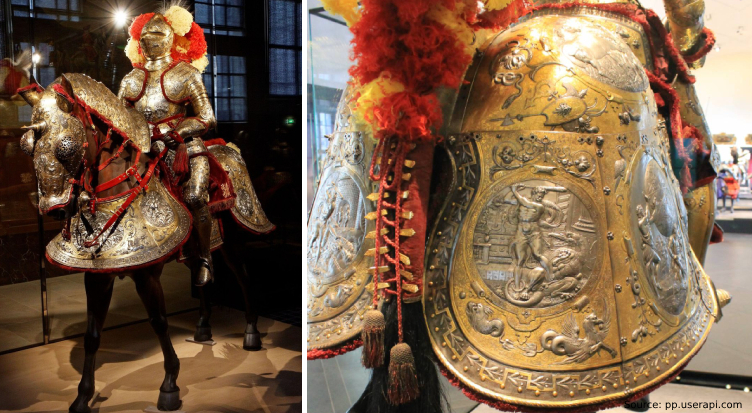 In the Middle Ages, the rulers of Europe sought ways to decorate golden armor and weapons to show a high monarchy status in the banquet halls and on the battlefield.